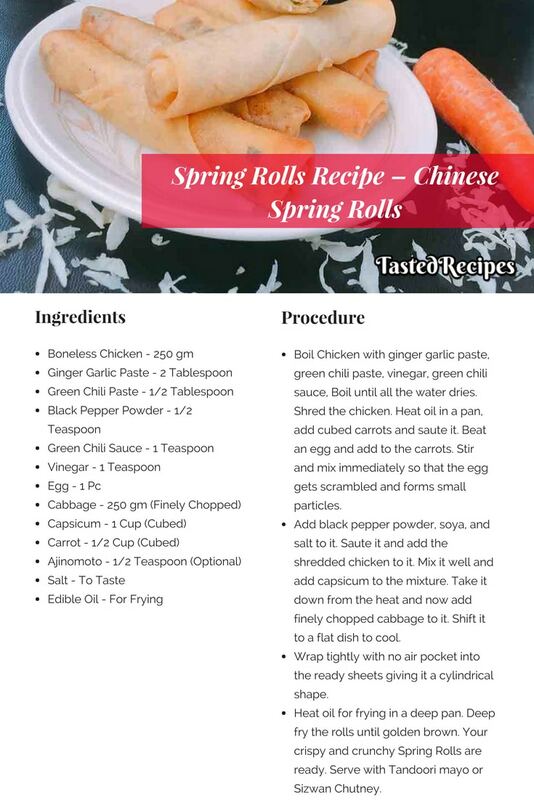 Spring Rolls are a popular Indo-Chinese starter and snack recipe served in almost all Asain Restaurants. This lovely starter comes in many variants. You can make it complete veggie and also with chicken. Made with spring roll wrappers filled with yummy chicken and veggies mixed with Chinese Sauces. Great tea-time snack and a lovely iftar delight. 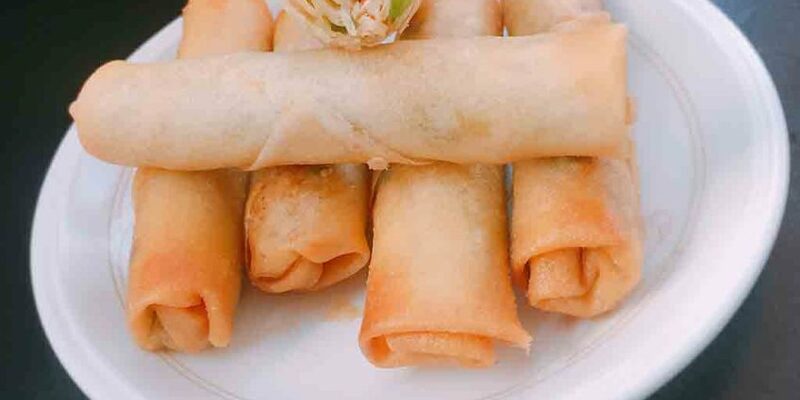 These crunchy and crispy spring rolls will be a perfect iftar choice as it is not so heavy on the stomach. 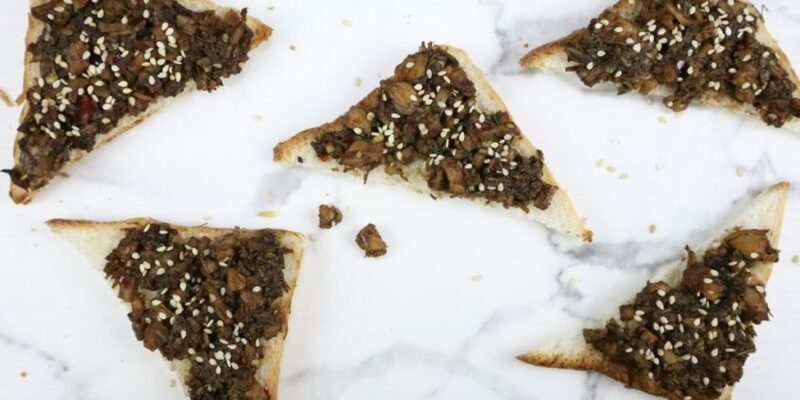 A sure-to-try recipe for iftar. There is a great significance of this recipe in China. It has a close relationship with the Chinese New Year. The Chinese New Year is also known as the Spring Festival. They are eaten during the Spring Festival in China and thus they are named as Spring Rolls. Boil Chicken with ginger garlic paste, green chili paste, vinegar, green chili sauce, Boil until all the water dries. SHred the chicken. Heat oil in a pan, add cubed carrots and saute it. Beat an egg and add to the carrots. Stir and mix immediately so that the egg gets scrambled and forms small particles. Add black pepper powder, soya, and salt to it. Saute it and add the shredded chicken to it. Mix it well and add capsicum to the mixture. Take it down from the heat and now add finely chopped cabbage to it. 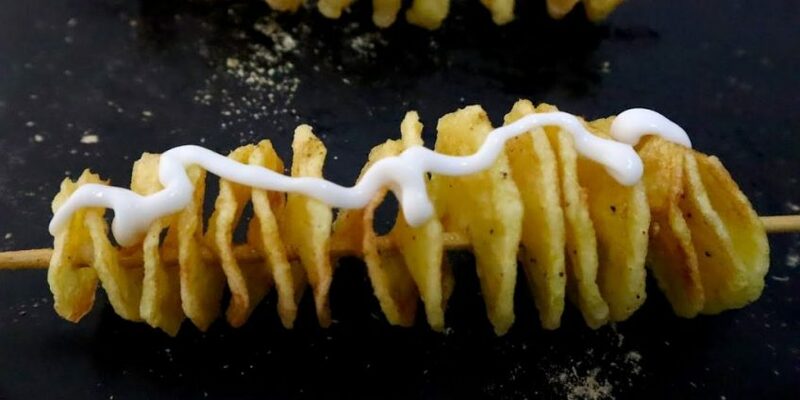 Shift it to a flat dish to cool. Wrap tightly with no air pocket into the sheets giving it a cylindrical shape. 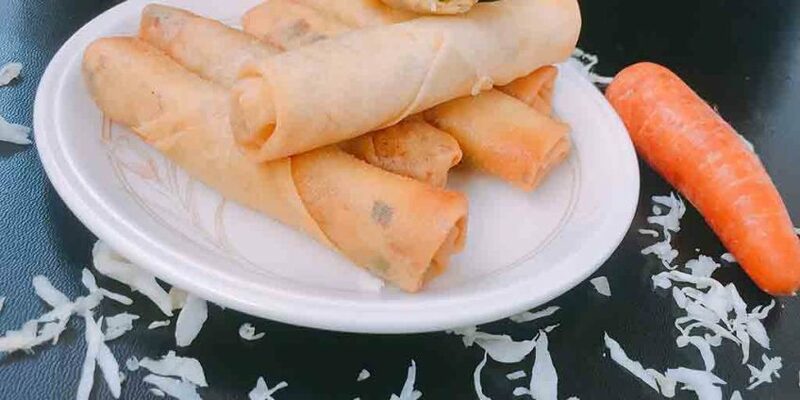 Spring Rolls can be made with homemade sheets/wrappers or with readily available frozen sheets. I prefer to make it with frozen sheets as they are uniformly made and give a good crisp and crunch to the spring rolls. You can freeze them and keep for longer periods. Whenever required heat oil for frying in a deep pan. Deep fry the rolls until golden brown. Your crispy and crunchy Spring Rolls are ready. 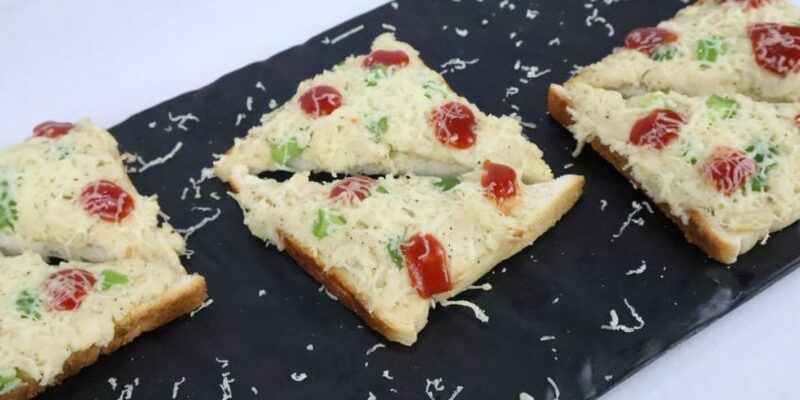 Tastes lovely when served with Tandoori mayo or Sizwan Chutney.